San Diego: Car dealership, formerly Buick, at El Cajon Blvd & 34th St. Melvin Zeitvogel, 1959. 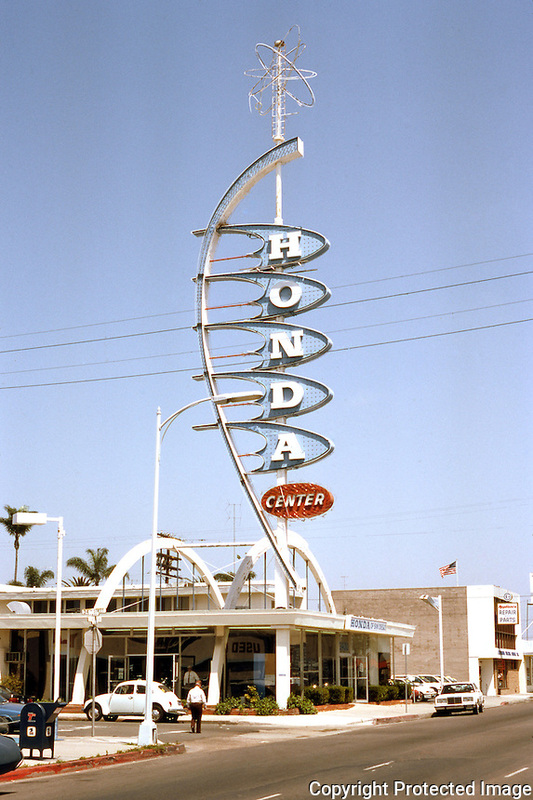 San Diego, signage, Melvin Zeitvogel, Honda Car Dealership, El Cajon Blvd. at 34th St.